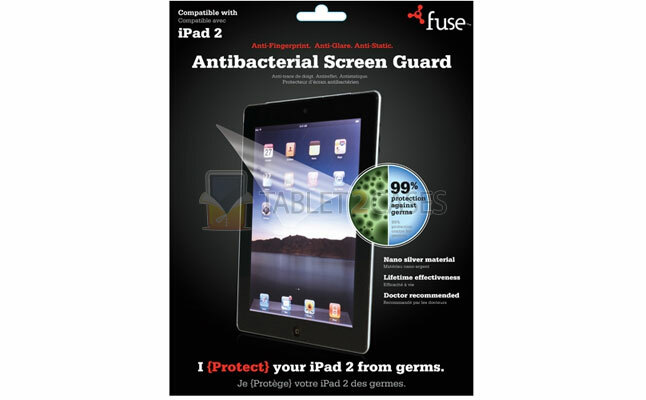 Antibacterial Screen Guard from Fuse is a perfect tablet screen protector for iPad 2 . The screen protector not only guards the touchscreen from unwanted bacteria with a 99% success rate, but it’s also fingerprint-resistant and features a matte finish to reduce glare. 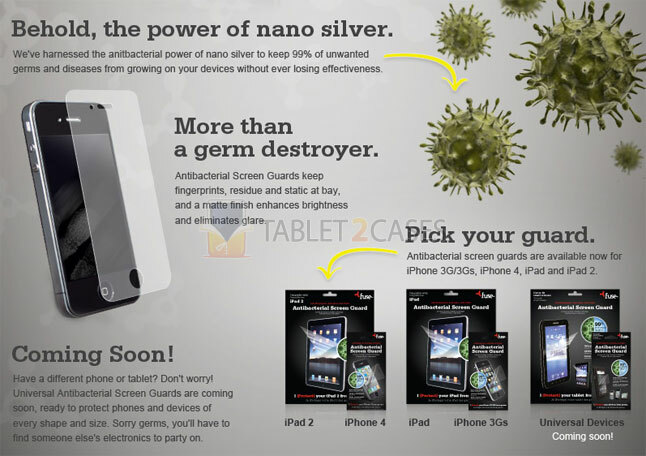 The Antibacterial Screen Guard utilizes nano silver technology to stay effective against germs and bacteria for a lifetime. The screen protector comes with applicator squeegee and a cleaning cloth inside the package. The Antibacterial Screen Guard is a perfect solution for those who want to keep their devices bacteria-free, while reducing fingerprint smudges and enhancing the screen’s brightness. The item is sold for $30.